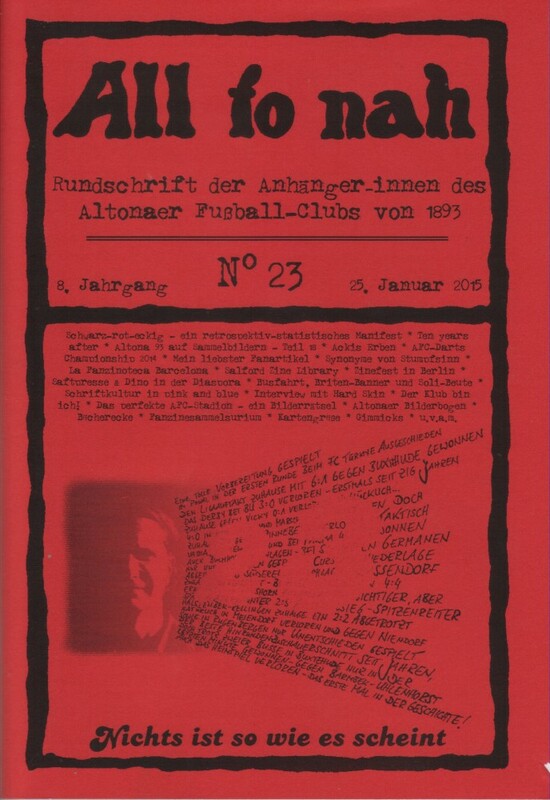 All to Nah is the long running fanzine of German non-league football club Altona 93. 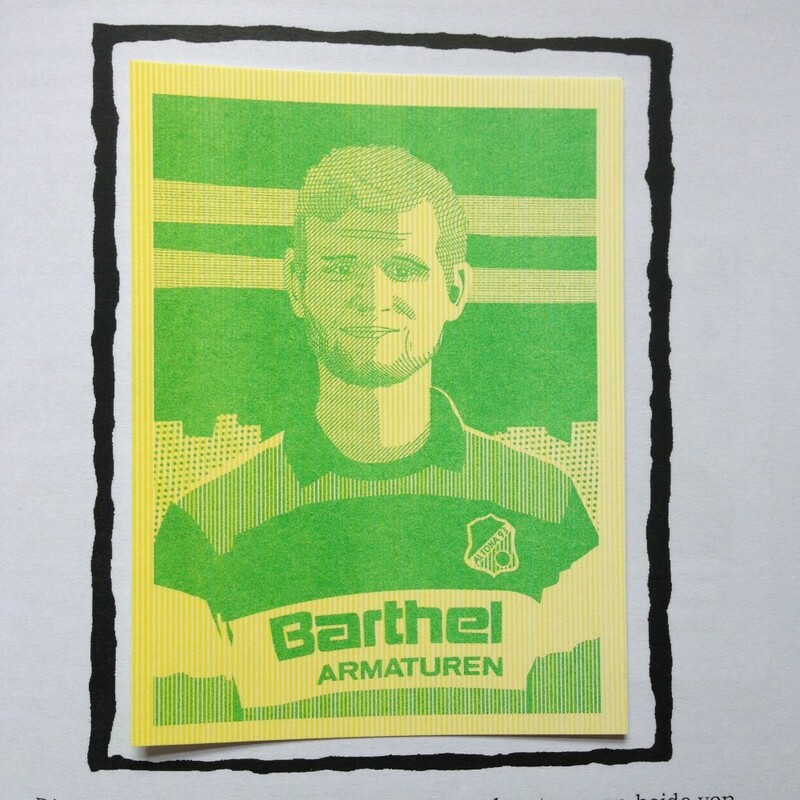 It’s inspired by the concept of Die Weltbühne and is read by supporters and non-supporters from around the world. 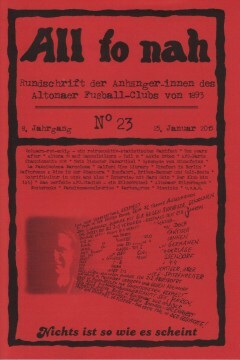 This is the 23rd issue, published in January 2015. 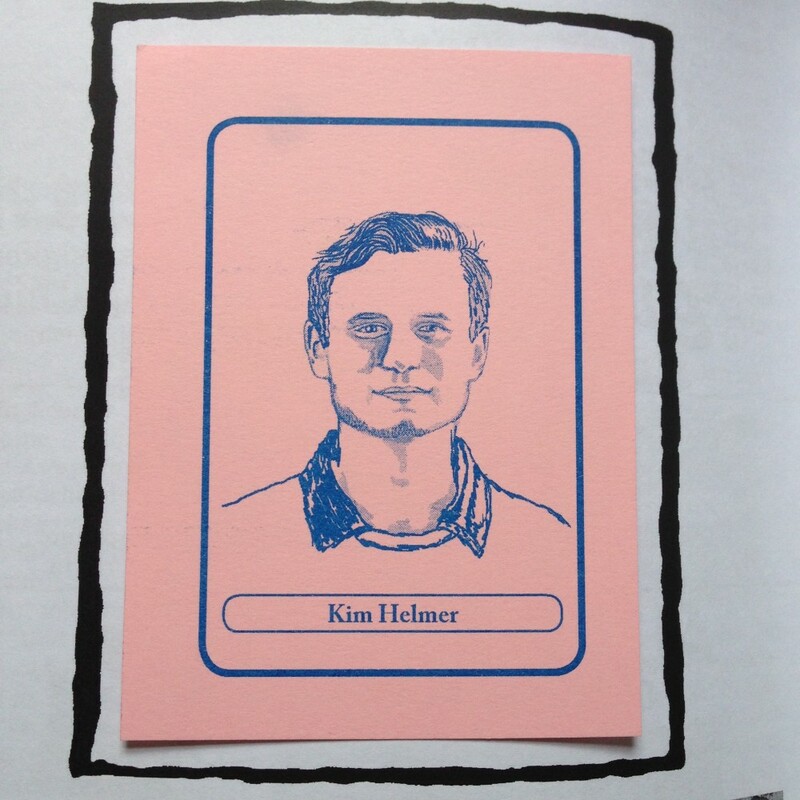 It includes the piece about Salford Zine Library that was included in the Berlin Zinefest Special Issue plus loads of other cool stuff in German. 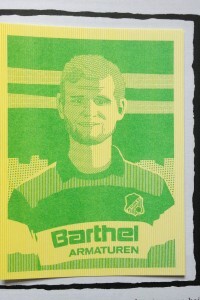 I am a big fan of the illustrated player cards that are stuck to some of the pages (see below). 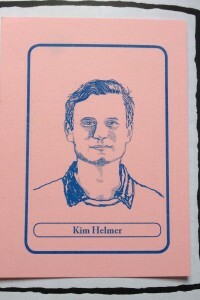 If you’d like to know more about the zine you can contact the editor Jan via email at alltonah at gmx dot de. He’s a nice man and he would most likely to be pleased to hear from you! If you would like your zine to be removed from this website, please email salfordzinelibrary@gmail.com.